Fr. Robert Smith, Jerusalem representative of the World Council of Churches, addresses a BDS rally in South Africa. Photo: Screenshot. The WCC is a central promoter of the Christian “Kairos Palestine” document, which characterizes terrorist acts of “armed resistance” as “Palestinian legal resistance,” denies the Jewish historical connection to Israel in theological terms, calls to mobilize churches worldwide in the call for BDS, and compares Israel with the South African apartheid regime. “Keeping the historical status quo and supporting equal rights for Christians, Muslims and Jews at these holy sites is vitally important to maintaining peace and de-escalating violence,” said Fr. Ioan Sauca, acting general secretary of the WCC. “Denying access to holy sites for thousands of people who have traveled far to pray is not only a violation of the rights of those individuals, but also a corrosive act in the midst of an already-fragile peace,” Fr. Sauca said. One prominent Jewish human rights group ridiculed the WCC for protesting against Israel’s installation of metal detectors at the site, when such measures are common at religious sites around the world. In 2015, Saudi Arabia introduced a range of new restrictions, including electronic bracelets, for Muslims performing the Hajj pilgrimage to Mecca after capturing a suicide bomber who planned to attack the Grand Mosque in Islam’s holiest city. Major Christian sites, most obviously at the Vatican in Rome, have also implemented enhanced measures amid a continuing wave of Islamist terror attacks in Europe and the Middle East. The University of California-Santa Barbara. Photo: Wikimedia Commons. Over 100 students signed up to speak for and against the Students for Justice in Palestine-backed (SJP) resolution at a meeting of the student government (AS) that ran from 6:30 pm local time Wednesday until 4:00 am on Thursday, according to campus paper the Daily Nexus. Ultimately, 16 student representatives voted against the resolution, which was titled “Divest From Companies that Profit From Human Rights Violations in Palestine/Israel.” There were seven abstentions. During the open-forum debate, many Jewish students called the resolution antisemitic, with some describing the environment on campus as divided and contentious throughout the BDS campaign, which was launched on Yom HaShoah last month. However, anti-Israel speakers claimed that refusing to boycott companies supposedly profiting from “oppression” of Palestinians would amount to UCSB’s complicity in human rights abuses. Many supporters of the resolution insisted it was a means of remaining neutral in the Israeli-Palestinian conflict, an argument made in favor of BDS at other campuses, as well. Ilan Sinelnikov — founder of the grassroots SSI movement — also took to social media, writing, “UCSB SSI STRONG. BDS KILLED,” adding that from 2015 until today, a BDS resolution has not passed on any campus with an SSI chapter. This was the fourth defeat of a boycott campaign at UCSB, which remains to date the only UC campus that has never passed a BDS motion in student government. Last week, a pro-Israel peace mural at UCSB was twice vandalized by an unknown perpetrator with the phrase “Free Palestine.” (UCSB SJP maintained they were not involved in and condemned the incident.) This came after an “apartheid wall” erected by SJP on campus was exposed for featuring falsified quotes from Israeli leaders. As of publication time, UCSB Divest had not commented on the result of Thursday’s vote. (CNSNews.com) – On the same day as the U.N. Security Council passed a controversial resolution condemning Israel, the 193-member U.N. General Assembly on Friday approved a budget that includes $138,700 to fund the compilation of a first-ever U.N. blacklist of private companies doing business in territories disputed between Israel and the Palestinians. Defined in U.N. documents as a “database,” the blacklist will cover companies of any nationality that do business in Israeli “settlements” located in areas claimed by the Palestinians, including Jerusalem’s Jewish Quarter. 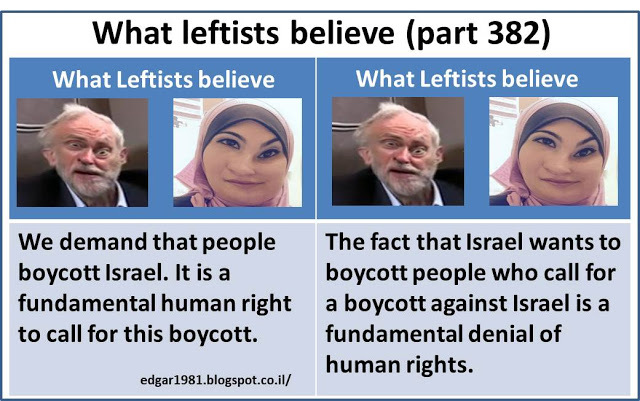 The move, which was mandated by the U.N. Human Rights Council (HRC) last March, is expected to benefit the anti-Israel boycott, divestment and sanctions (BDS) campaign. The U.S., not a member of the HRC this year, did not have a vote on the matter in March, although the State Department did criticize the decision, with spokesman John Kirby calling it “an unprecedented step” that was “far outside” the scope of the HRC’s authority. U.S. taxpayers account for 22 percent of the U.N.’s regular operating budget, plus billions of dollars more in voluntary contributions to various parts of the U.N. system each year. Since Friday’s Security Council resolution – which passed after the Obama administration chose to abstain rather than exercise its veto – several Republican lawmakers have vowed to target U.S. funding for the world body. The General Assembly approves the budget for the HRC, and was asked this year to green light $26.4 million over and above earlier estimates, to pay for resolutions and decisions taken during the council’s periodic sessions in Geneva. The HRC resolution called for the list to be presented to the council at an upcoming month-long session, which is scheduled to begin in late February next year. Earlier this month, Palestinian representative Abdullah Abushawesh made clear the BDS goal behind the move. “We should block the source of financing for settlements on occupied Palestinian territory, in particular by drawing up a list of companies that operate on this territory, whether these companies are Israeli or from other countries,” he told General Assembly member-states considering the budget request. “As soon as this list is drawn up we encourage all to disseminate it, and to help these transactions with these companies to be stopped,” Abushawesh said through a translator. Hours before the General Assembly adopted the budget resolution without a vote on Friday night, it was approved by the assembly’s “Fifth Committee,” which deals with budgetary affairs. At that committee session earlier in the day, Israel’s delegation tried to insert an amendment to exclude funding for the blacklist. It was criticized by other delegates for introducing “political elements” – in the words of Slovakia, speaking for the European Union – into what they argued should be a strictly budgetary process. Israel’s proposal was then put to a vote, and failed dismally, with just six countries (the U.S., Israel, Australia, Canada, Guatemala and Palau) in favor and 151 opposed. “It’s time to remove resources for activities that have only one agenda – to politicize the work of the Human Rights Council,” he said. Last month, the office of the U.N. human rights commissioner Zeid Ra’ad Al Hussein formally invited “all interested persons, entities and organizations” to submit information to enable it to compile the HRC-mandated blacklist. “The identity of sources of information will be kept confidential,” it said in a notice requesting that concise and pertinent submissions be emailed by November 30. “American taxpayers can expect to find themselves funding BDS in the very near future, with American businesses caught in the crosshairs,” Bayefsky wrote.